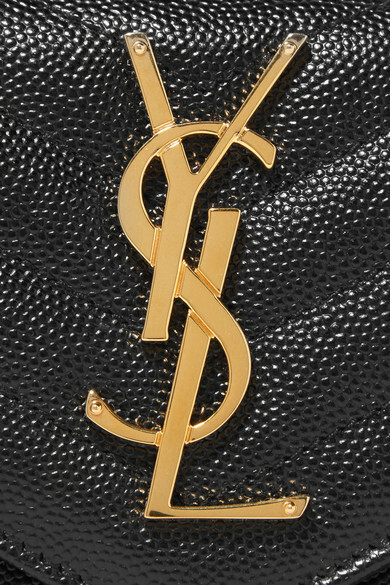 Detailed with the signature 'YSL' plaque, Saint Laurent's wallet has been made in Italy from quilted textured-leather. 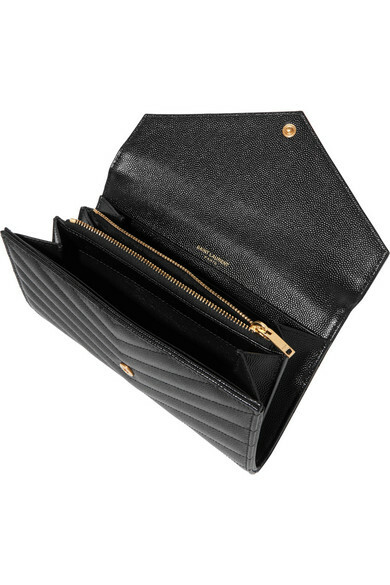 It's fitted with two compartments for tickets or receipts, multiple card and bill slots and a zipped pocket for coins. 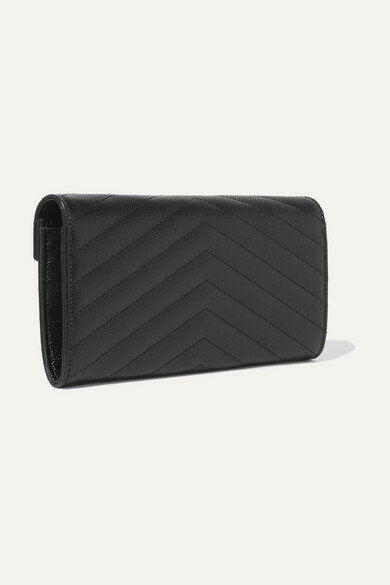 Slip it into your tote or carry it as a mini clutch. 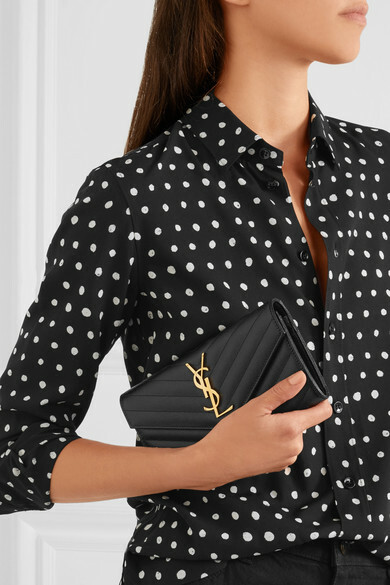 Shown here with: Saint Laurent Shirt, Saint Laurent Pants.